Dr. Owen C. Cardwell, a Civil Rights advocate who has worked throughout Virginia and at the national level, has joined the University of Lynchburg as the Rosel Schewel Distinguished Chair of Education. As a faculty member in the College of Education, Leadership Studies, and Counseling, Dr. Cardwell will teach in the leadership studies program and assist the Dean of the College with expanding leadership opportunities across Central Virginia and the Commonwealth. He will serve as co-director of the newly formed Center for Education and Leadership, which will contribute to the University of Lynchburg’s ongoing effort to serve the Lynchburg region with educational and leadership development programs. Dr. Cardwell has a PhD in Interdisciplinary Studies with a concentration in creative and ethical leadership from Union Institute and University in Cincinnati, Ohio. He also has a master’s degree in theology from Boston University and a master’s degree in adult education from Cambridge College in Cambridge, Massachusetts. His scholarship on the work of Martin Luther King Jr. is respected around the country. 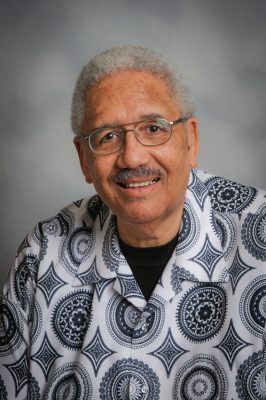 A native of Lynchburg, Dr. Cardwell was one of the first African-American students to integrate E.C. Glass High School. He is the founder and executive director of the Heroes and Dreams Academy in Richmond, a service-learning based mentoring program for at-risk youth. He was also the co-founder of the Family Restoration Network in Ashland, Virginia, an organization designed to restore fractured families and reconnect incarcerated fathers with their children. “We are fortunate to have Dr. Owen Cardwell accept the position as the Rosel Schewel Distinguished Chair of Education,” said Dr. Roger Jones, dean of the College of Education, Leadership Studies, and Counseling. “Rosel Schewel was a teacher, scholar, and a champion for public education and racial and social justice. Dr. Cardwell brings some of those same characteristics to this position. The Schewel Chair honors Rosel Schewel ’71 MEd, ’83 EdS, an alumna who served on the faculty as well as the Board of Trustees for many years.